My son and wife are GF, so we try to find GF things that taste good. These waffles are so good that my daughter and I also eat them so there is only one mix to mess with for the 4 of us. These are as good as any regular waffle mix I've ever had, restaurants included! It takes about 1-1/4 cups of batter for a large Belgian waffle in the large KitchenAid waffle maker cooked for about 5-1/2 minutes. Slightly crisp on the outside but still moist and tasty on the inside. I highly recommend this mix!! My husband and I have been eating the regular Carbon's for a while now and one of our favorite dinners is when we have 'Waffle Night'. 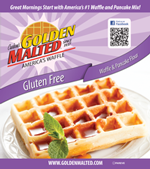 When I first found out I was gluten intolerant I continued to make the good stuff for my husband and purchased what was supposed to be 'the best' gluten free frozen waffle. Oh what a disappointment!! Hard and tough and add the syrup and they turn into a pile of mush. Tonight I make these. Ohmygosh I was in heaven!! They are crispy on the outside and airy and delicious on the inside. I can certainly live with these. They are almost as good as the regular, at least I thought so. Would highly recommend this product to anyone who needs to eat gluten free. 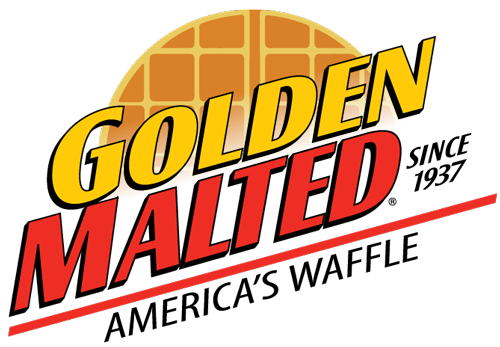 I used the regular (wheat) Carbon's Golden Malted waffle mix before, so I didn't hesitate to try this even though it was a three-pack. Tastes great and is super easy - equal amounts of mix and water. Worked great for waffles, the only difference being they needed to cook longer than regular ones in order to be crisp. I did add a splash of extra water to thin the batter down a bit more for pancakes, so they would cook more evenly. Highly recommended! Carbons non gluten free is fluffier and maltier tasting. However for gluten free this is better than most non gluten free mixes out there. There is a nice light crunch to the waffles that you don't get with non gluten free. I think it is due to the rice flour. Since being diagnosed celiac over 7 years ago I have tried many brands of gluten free pancake mix; each time I have high hopes, but have been disappointed. Someone gifted this pancake mix to me and it took me over 3 months to try it because of past experience. Just mixing the batter together I saw a difference and then when I had the first bite it was LOVE! The texture was fluffy, moist and smooth. I could have eaten so many more, but had to stop myself to keep from getting a stomachache later. Thank you!! Probably the best GF mixture we have tried for pancakes and waffles. Very tasty.